Marketing is just a concept unless you measure your marketing activities, then it becomes a science. For many small business owners, marketing is an added expense that doesn’t provide security on return on investment. Which is why there are so many small businesses out there who don’t see the growth they hoped for because they view marketing as a waste of time and money. To prove skeptical business owners wrong, proving the marketing ROI is extremely important. But, to prove the marketing ROI you must know all the marketing metrics that you can track that effectively relates back to your business. Most marketers know their customer acquisition cost (CAC) off by heart, but do you know what the marketing portion of CAC is? This metric will tell you how much you are spending on marketing to acquire new customers. As your company grows and as your company tries to cut costs, it’s important to track how much money you’re spending to acquire new customers and more importantly, how much you’re spending on marketing. If you see an increase in M%-CAC it will tell you that you are either spending too much on marketing, sales costs are lower because they missed quota, or you’re spending more on marketing so you can provide your sales team with more qualified leads. 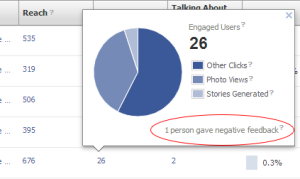 Any “negative” action taken by a fan on your page is considered as a negative feedback. Actions can include: hiding a specific post, hiding all future posts from your Page, unliking your page, or the worst thing, reporting a post as spam. Negative feedback is a metric you can track in your Page Insights, however, you cannot see the breakdown for negative feedback. If you want to know what negative actions were actually taken, you have to download the excel report in the fan reach section. It’s important to track your negative feedback because Facebook takes into consideration this metric when they decide on whether or not to increase your Facebook organic reach. Needless to say, if you want your Facebook marketing tactics to do well, you need to track your negative feedback and keep the number as low as possible. A common methodology for tracking results of a marketing program is called single attribution, in other words, first or last touch attribution. Which assigns all the value to the first (or last) program that touched the deal (sale). If you choose to use the first touch attribution model, this allocates all the value to the first program that touched the deal — typically this is the lead source. For example, if someone lands on your website for the first time on a blog post, reads it, then goes to another blog post, then makes a purchase, the first blog post would get the revenue credit. Last touch attribution gives revenue credit to the last program that touched the deal. For example, if a lead were to read two blog posts, then signs up for a product demo, the demo would receive the revenue credit, not the blog posts they read before signing up for a product demo. Use the TER metric as a directional performance indicator, so that you can provide tweets that your Twitter followers will want to engage with in a more timely manner. Goals in Google Analytics measure how well your site or app fulfills your target objectives. A goal represents a completed activity, such as a conversion, which contributes to the success of your business. Defining Goals in Google Analytics (GA) is an important component in successfully measuring your digital marketing efforts. In GA you can create Goal Completions and Goal Values. 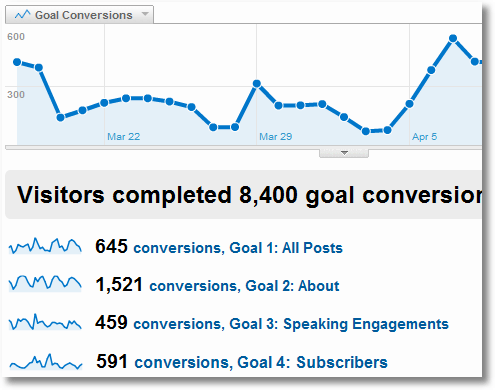 Goal completions is the total number of conversions. The total Goal Value is the total value produced by goal conversions on your site. This is calculated by multiplying the number of goal conversions by the value you assigned each goal. These are important marketing metrics for your business because they highlight how digital marketing brings in revenue. The Marketing Qualified Lead metric is the number of prospects that have indicated interest in your company’s products or services by doing something that’s marketing initiated like: downloading a white paper, attending a webinar, or giving you their business cards at an event. In simple terms, they have shown interest but you’re not sure if they are qualified to purchase your products or services yet and are not ready to be passed on to sales until they are better qualified. When you track your MQLs you’ll improve your sales efficiencies by weeding out the leads that are not qualified. Many times the marketing department sends over requested leads over to Sales, who then rejects many of them as being unqualified. Which is why it’s important to separate your MQLs from Sales Qualified Leads (SQL). As mentioned above, not all leads are qualified leads. Marketing’s job is to make sure the sales funnel is full of high qualified leads, while the sales team’s job is to close new business. The issue is, most of the time these teams are not aligned. The sales teams spend countless hours mining lists of leads that their marketing team has passed on to them, which in the end is not beneficial to your company. The key to successfully working together is to identify the perfect Sales Qualified Lead together, keyword: together. A common criteria to use is BANT: Budget, Authority, Need, and Timeframe. Use this set of criteria to learn more about the traits of a Sales Qualified Lead so that your sales and marketing teams can work together to grow the business instead of against each other. The churn rate is the amount of customers or subscribers who cancel their account with your service or company during any given time period. It is a primary factor that determines the steady-state level of customers a business will support. This metric is most commonly used in a contractual service, and is an important input into your customer lifetime value. Marketers can use this metric to create marketing campaigns that will decrease your company’s churn rate. Some companies have teams that are dedicated to uncovering issues that increases churn rate so that they can recommend initiatives that will help decrease it. Marketing efforts can range from: better onboarding, providing better educational content, and better user experience. Domain Authority and Page Authority are two metrics that were coined by Moz, a company that builds tools that help inbound marketing activities. Page authority, predicts how well a specific page will rank on search engines and is a score on a 100-point scale. Domain Authority, predicts how well a website will rank on search engines on a 100-point scale. You can use these two metrics compare one website, or your website, to another website, to predict whether or not you have a good chance in outranking them in the search engines. Share of voice is the percentage of all marketing activities and conversations about your company, compared to your competitors. Sometimes this metric gets left unmeasured because metrics such as awareness and conversion rates take over. However, share of voice is just as important if you want to maintain brand awareness and increase your conversion rates. If you’re able to influence the number of conversations people are having about your company, you’ll be able to beat out your competitors when it comes to awareness and conversions. 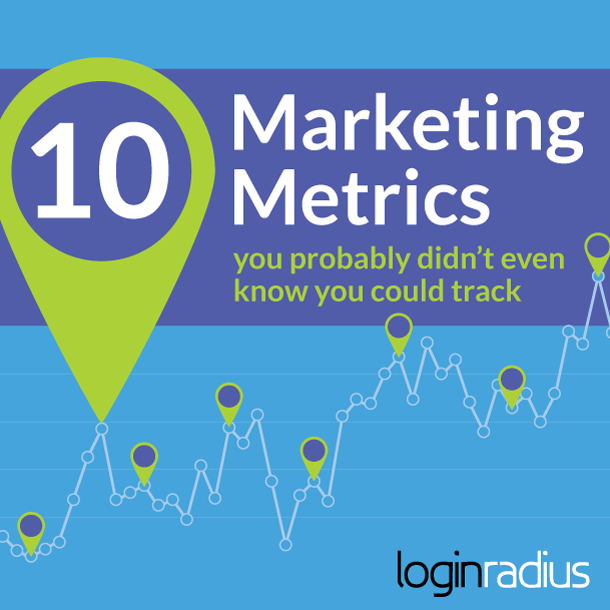 Marketing metrics come in all different forms, the 10 listed above are just a few of the important metrics any business should measure. When it comes to your marketing activities it’s always important to track and measure whatever you do to ensure you’re making the right decisions for your business. That’s why knowing and measuring the marketing metrics that aligns with your business goals, will set your marketing department up for success. What marketing metrics do you use? Share them in the comments below.